This is a very special Ferrari indeed. In 1987 Ferrari launched its F40 supercar to celebrate 40 years of production, a model designed to be the marque’s fastest ever road car, yet with the potential to be used on the track if an owner wished. Despite being Ferrari’s most expensive car ever, and not even having a glovebox or built-in entertainment, it was an immediate success, and also became the last model overseen by Enzo Ferrari himself. The F40 offered incredible performance, yet some customers wanted even more power for serious track work, so seven F40 GTs were sent by the factory to Michelotti, one of which, chassis 74047, is the potent car presented here. The Michelotti build sheets for this car refer to it as an F40 LM (Le Mans), making it even more rare. The GTs received uprated, 590bhp engines, an improved gearbox, larger, better cooled brakes, lighter bodywork including plexiglass windows, uprated, rose-jointed suspension with adjustable anti-roll bars fore and aft, quick-fill fuel system, streamlined undertrays, wider wheels, a 5cm lower ride height and in-car quick-lift jacks. These modifications were included in the 19 F40 LMs that were later built, so the GT became the link between the road and racing cars. 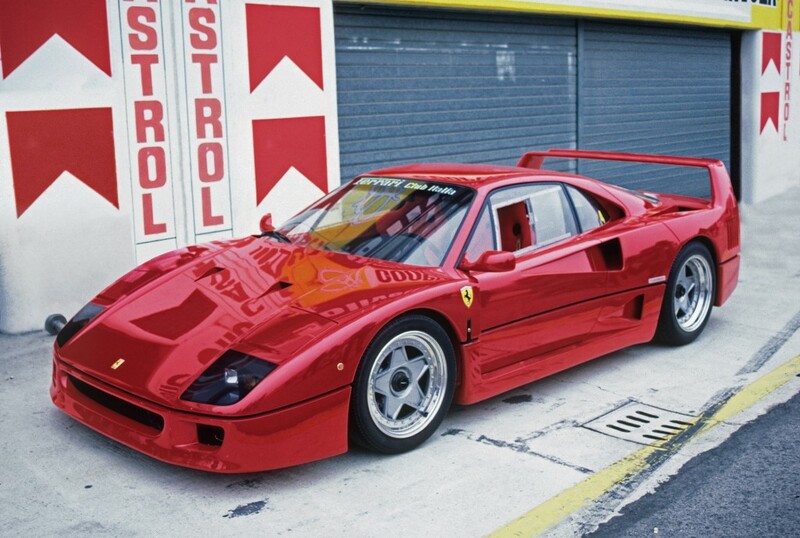 The F40, styled by Pininfarina, was very aerodynamic and was the first road car capable of going beyond 200mph. The more powerful GT (capable of 0–62mph in little over three seconds) was described as ‘blisteringly, insanely fast’, and this car proved it from 1987–91 as it was owned by Ferrari SPA, appearing at the 1987 Frankfurt Motor Show and a Ferrari meeting at Imola. In 1991 it was sold to privateer Luca Sartori who competed with much success in the 1992–94 CSAI Championships, racing it at Monza, Mugello, Misano and Vallelunga. This car has now been superbly restored and remains a rare example of what Top Gear hosts Jeremy Clarkson and Richard Hammond called ‘the greatest supercar the world has ever seen’.